Many of us have had the privilege to recruit and select new members this fall. Bringing new members into our organization is arguably our greatest responsibility as a member and doing so in a way that helps them feel integrated and valued is vital. It does not matter if you have five or fifty new members, what matters is that you have an educational program prepared for them that is developmentally appropriate, professionally and personally focused, and free of actions that could place your new member in harm’s way. It is my hope, and that of the fraternity as a whole, that you will conduct new member education activities in a way that does not harm a person. It is that simple. While accidents may happen under acceptable conditions (i.e. a flag football game, camping trip) what we need to be sure of is that we are not providing the environment and direction that could harm someone. One way that we mitigate harm is by not allowing hazing activities into our chapters. September 24th - 28th is National Hazing Prevention Week. 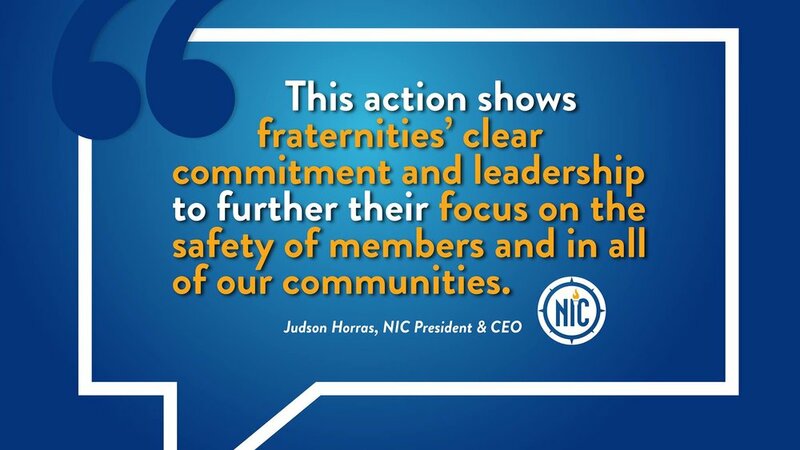 Since 2004, this week has been recognized across the interfraternal and higher education community as a way to remind members that hazing has no place in Fraternity. Phi Kappa Theta has a membership education program that can be easily applied in your chapter and it does not include activities that would be considered hazing. Understanding our history, functions, values and goals as an organization does not require us to have new members prove themselves through activities that are really pointless or at the least, only solve the immediate problem of group unity. It is for that reason that many choose to haze: group unity. The impression is that the group will unite in a way that is meaningful and get them closer to their goal of initiation. While hazing activities may appear to have a unifying aspect to them, what it does is create a sense of false immediacy by new members: if we come together faster as a result of suffering through this then we will initiate more quickly. We all know that rarely does a new member class initiate more quickly because they allow themselves to be hazed. The timeline for initiation is typically set ahead of the new member process launch, and often involves input from the national organization and the campus professionals who oversee fraternity/sorority life. Therefore, not only are the hazing activities potentially dangerous, but they are also untruthful. I think we have a responsibility to be truthful with our new members, earn their trust, as well as keep them safe. Hazing undermines our values as an organization. It makes us less relevant to potential members who do not want to put up with crap in order to become a member of an organization. Yes, there are people “looking to be hazed” but in my experience of working with fraternities (over 22 years) those members often quit or disengage and often they are what can lead to the end of the chapter on a campus. Some of them change their attitudes as a result of a member experience that is positive, but more often than not a person who wants to be hazed has a number of other issues that they must work through and they are often someone you would not want as a member no matter how fun or cool: they will very likely not care enough to help the organization succeed. Many students I talk to focus on the definition of hazing. That can be a starting point, but rather than worry about what is and what is not hazing, create experiences that help new members develop leadership skills, get connected in campus, have fun with fellow brothers and fellow students, enhance their affinity for serving the community, network with alumni and develop a sense of self value that will help them as a student and a member. State laws can tell you about what is and is not hazing, but when you think about the values of Phi Kappa Theta and the benefits of fraternity on the whole, thinking through the “why” of any activity is vital to ensure that there is a meaningful and purposeful new member (and member) education process that helps brothers become their best self and best member. For more resources on providing new member and member education experiences that are not hazing, please contact our Executive Offices and review resources found at HazingPrevention.org.